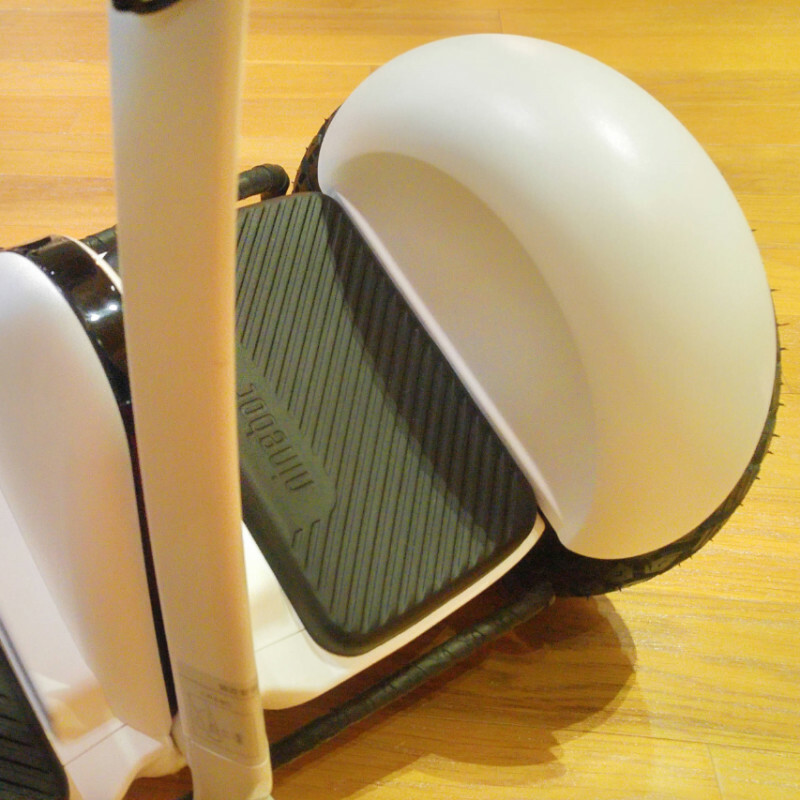 Has anyone tried the Hybrid Tires for the MiniPro sold by ninebot/MoreForMini in the US? 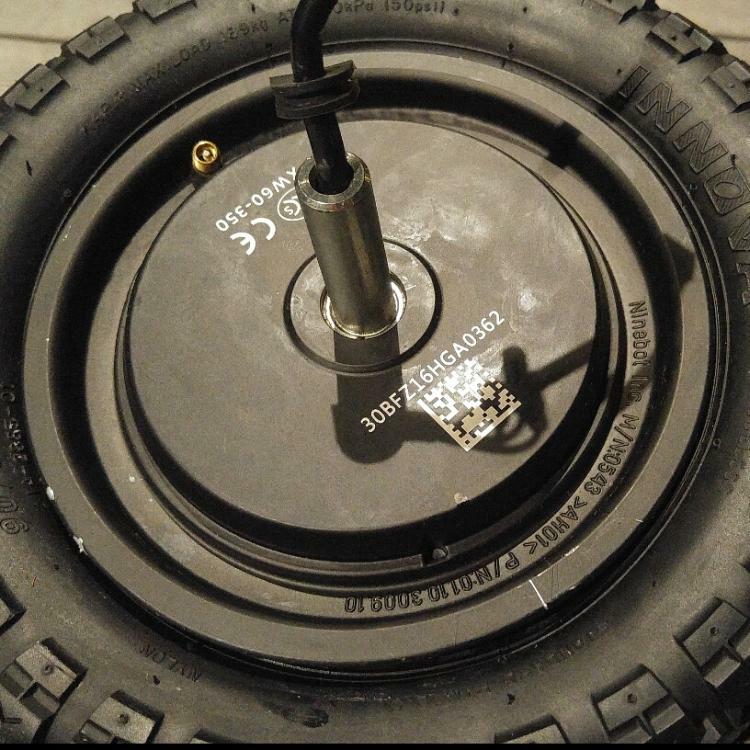 Looking for comments on using this tire as a general replacement for the stock tire. How does it compare on Asphalt, concrete, gravel, dirt? I've heard the Off-Road tire was OK on some terrain, but also makes the one issue with the two wheel devices of the two tires meeting different resistance (due to terrain or obstacles) more serious. I've been looking at those too, as well as different tires from aliexpress . I made a thread, but people are not too active on these types of subjects here. At least for the mini ? Yes, this board os not too busy, definitely the EUC ones are more active. I ordered a pair, but as far as I know they have not shipped yet. Stock was supposed to arrive in May, but I'm trying not to get my expectations too high. They look like the perfect tire for my mix of roads and trails. 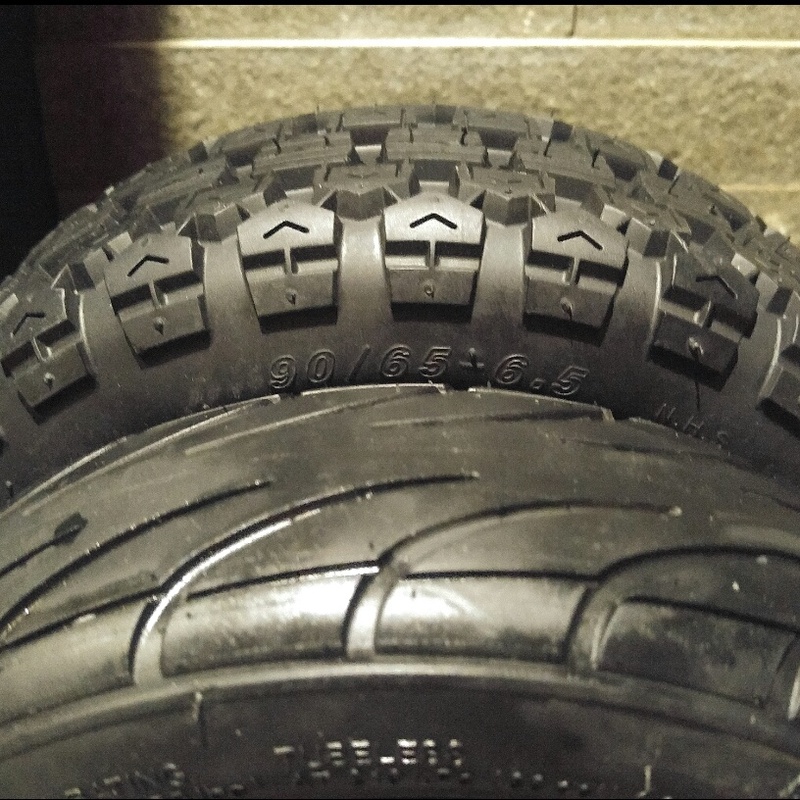 According to my experience with this kind of tire, the final shape would be close to the picture. Nice example! Thanks! I ordered a pair from AliExpress and it was about $24 cheaper than more4mini for the pair. Can't wait! That sounds good, definitely More4Mini is over prices for tires, and many other things. I have not ordered from AliExpress since most vendors there were not accepting PayPal, if I saw them on GearBest or Banggood, I could buy them. I like the idea of More4Mini, so I guess the extra money goes to trying to build a local market for accessories and fast delivery from local warehouse, However in this case for some reason they don't even have them in stock which seems so weird. it seems they keep limited inventory. Nothing to be scared of. Aliexpress own Alipay system is just as good and reliable as Paypal. 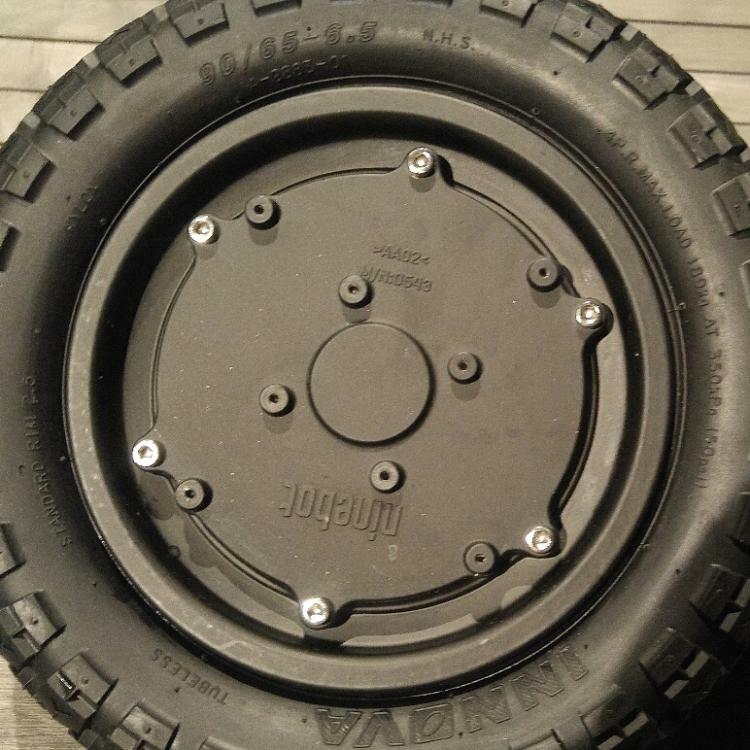 Has anyone seen larger tires with a street tread on them? They've got both offroad and street tires. Oooh, cool, thank you Vik's. Allpay does not have the long track record of Paypal, and I just don't want to register with yet another payment system. ... I just don't want to register with yet another payment system. And you don't have to. Thats the best part. Paying by CC you are covered by Alipay moneyback guarantee. Have only positive experience with them. Got my money back multiple times without any hussle whatsoever. Did you modify the fenders to fit those bigger tires? the picture come from your link but you have no other choice than modify the fenders because tyre diameter is bigger than original. Ok, thats what I thought. DIY is way to go. I just finished replacing the original tires with the hybrid ones. I haven't inflated them though since I don't have m air pump with me now. 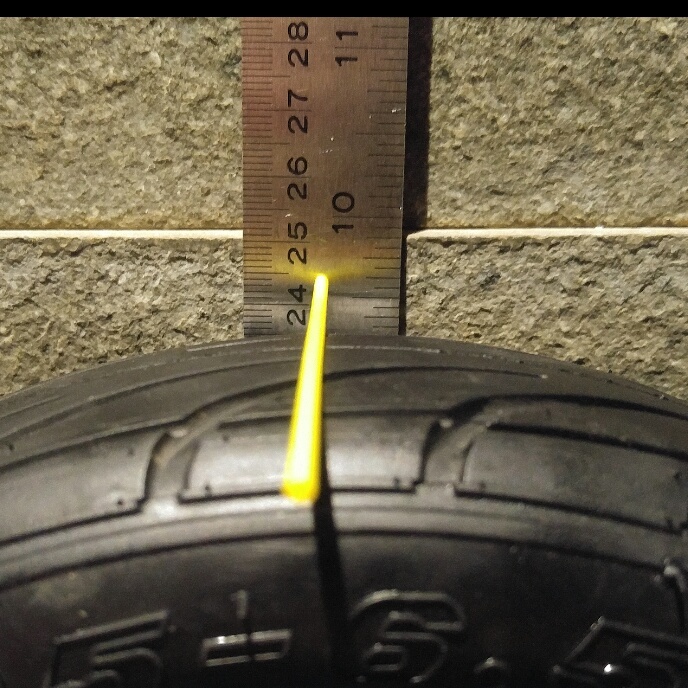 I just want to share the diameter differences between those tires in unmounted position and the scratch damages one with no experience in changing any tire should expect. All the work was done alone with the motor taken off from the mini with only 3 small screw drives and a sponge wetted with soapy water. if anyone cares, I could share a brief impression on how the hybrid rides on smooth floor and tarmac after I'm done modifying the fenders to fit the hybrid tires. They look great!! Still don't have mine, but I'm really looking forward to them. I read on M4M that you did not need to modify the fenders for the Hybrid tires, just the Off Road ones. Did you try the stock fenders? Whoever wrote that on m4m is incorrect. Several other sources all report that the hybrid tire does not fit with the stock fender. But it's a really easy process to modify them. I just finish inflating the tires and I'm mounting them up as I type. The original fenders are to short even for the hybrid tires. Thanks, looked that way from this pictures. Strange the owners of M4M would not know that, or would answer before they did know that. Seems they do know that now, but did not update the answer to the question. Looking forward to your first ride reports. I found out if I bent the fender steel mounts inward to the center of the mini, the fender didn't need to be raise too high to clear the tire. If you need more clearance above the tire then doing the opposite, bending the steel mounts outward would require the fenders to be raised higher in order to avoid the front / back part of the fender rubbing with tires. Hard to explain in words but you'll see what I mean by doing it. About the hybrid tires, I briefly tried them on smooth floors (inside house), tarmac & stone blocks streets, gravel & grass (park). Nothing surprising here, they are just like what i expected namely, more vibration, more stable, acceleration & top speed seemed to be the same but I didn't measure with appropriate tools (in theory acceleration suppose to decrease and top speed increase, right?). I noticed braking distance was constantly longer with these hybrids, not much probably <1m on smooth floor. I remembered reading about the optimal tire pressure for mini being 45 psi so I set the pressure accordingly. I didn't like it (FYI, 'm 77-80 kg) although I believe the information is correct if being optimal means less power consumption compared to lower pressure. At 45 psi everything that is "bad" felt amplified e.g., vibration felt harsh, braking and traction felt below best performance, over all they felt a bit nervous. Once I reduced the pressure to 32 all of those "amplified" imperfections were gone. On high speed and bumpy surface the mini didn't bounced up and down like a basketball anymore, instead it felt composed, easy to control which in return induced more confidence to ride the mini harder. I ended up deflated the tire even more to 28 psi. Not because everything was better at 28 compare to 32 or 30 psi but it was more fun for me. I definitely could feel these tires start to deformed under heavy load but for off road that doesn't mean all bad right? On smooth floor doing a tight turn on medium speed I could feel the hybrids deformed, started to skid and squirming/screeching loudly. It almost sounded like a car. Awesome! Overall things are still much better compared to 45 psi. Despite their blocked threads, on tarmac & stone block streets the hybrids were actually more comfortable than the original tires set at 35 psi. So far these hybrid tires has performed as expected. I can't remember what my tire pressure on my road tires are right now, but it's the recommended pressure on the tire i believe. It's ok for me. The hybrid i might keep a bit softer. Like you say off road that is not a bad thing. Might loose some efficency on asphalt, but we can get that back with a 63V charge here compared to the stock charger. 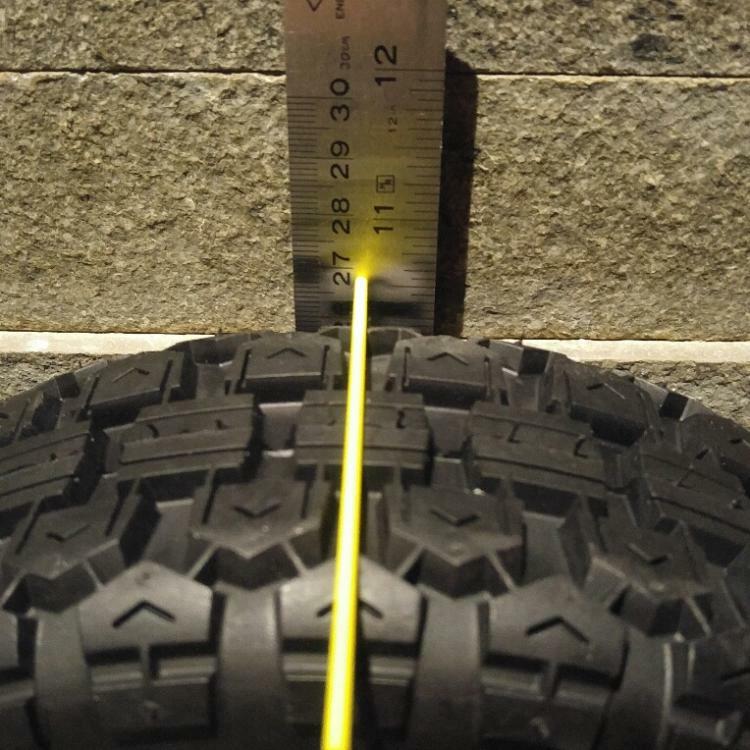 You could measure the circumfrence of the tire and compare it with the street tire to see the increase in speed we should get, i expect that it is quite small though, and the mini won't know it is going faster only we will. Smallexis measured it and the speed improvement is about 2 km/h. Can you do another speed test please?. I would like to reach constant real 20km/h with these hybrid tires. 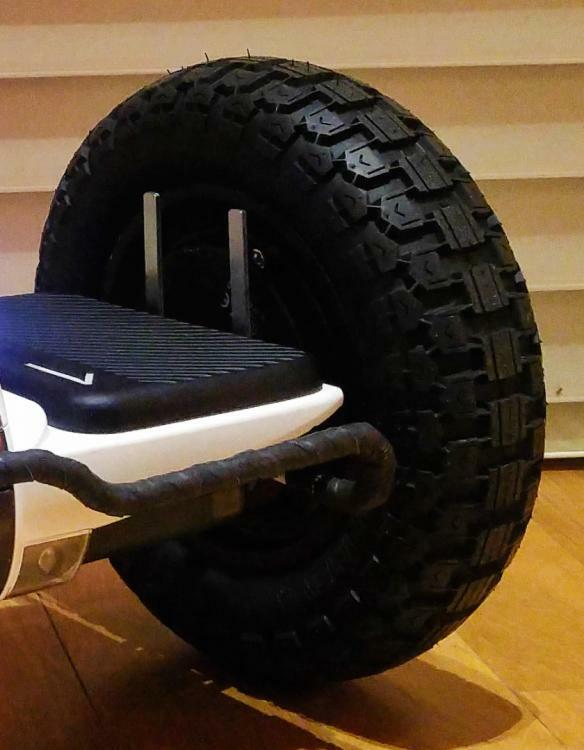 I´m looking forward to see more photos of how you have adapted the fenders, and the measure of the hybrid tires inflated. Unfortunately I can't measure the speed accurately since I don't have any appropriate tool for this kind of measurement (handheld, low speed, high quality GPS), but like FreeRide said we could calculate the hybrid top speed if we know the diameter of the original and the hybrid tires (just assume the weight and traction are the same). FYI, my hybrid inflated measurement is around 28.7 cm (11.3"). Rest assured that the top speed is actually higher and acceleration and braking is slower. It's the law of physic. Now whether we could measure / feel the difference it's another matter. 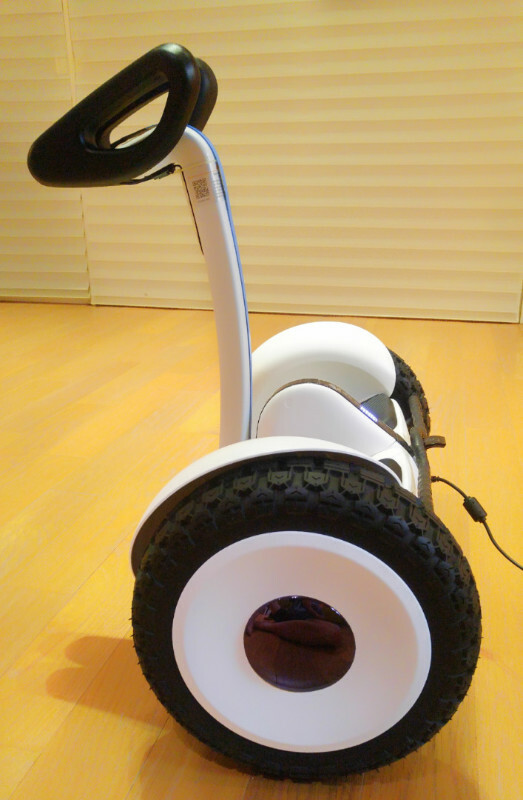 FYI, I did my measurement using my mobile phone with ninebot app and a GPS navigation app. Although both apps indicated the before & after speed was the same, I concluded the result as inaccurate. For the fenders, they ended up could serve my purpose nicely and met my goal. They are now adjustable and removable both by sliding the fender down or up the steel mounts. To prevent the fenders from being easily slide or rattle during use, I fabricated some kind of resistant mechanism from thin sponge double sided tape with its outer layer intact. After i put on the resistant strips I mounted the fender to the steel mounts and slide it down & up until fender's bottom a little bit overlapped & parallel to the rubber foot mat's edge so it still looked like the original/unmodified. At the same time I also adjusted the amount of clearance between the fender and the tire so the tire wouldn't rub against the fender and there was enough clearance for small debris that might get stuck to the tires such as mud, gravels, grass, etc. Once I got everything dialed in, using a removable ink marker I marked the inside of the fender where the tip of the steel mount was. These marks would serve as a placement guide so I would know exactly where to put on the stoppers. 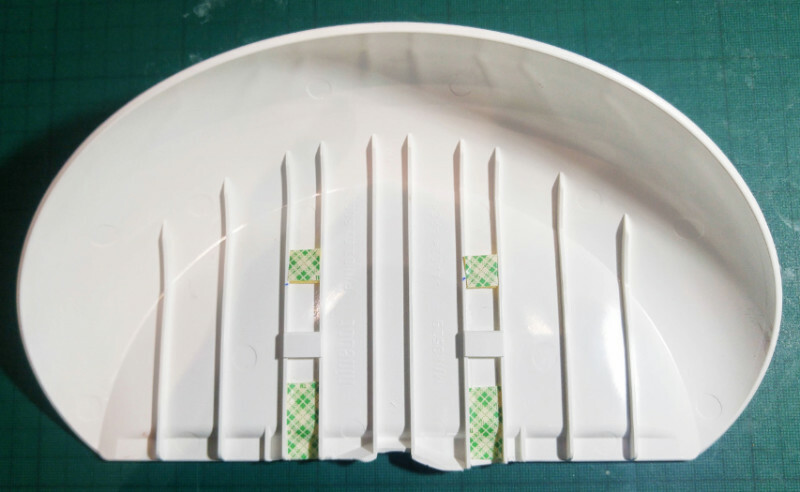 My stoppers were made off small pieces of the same double sided tape) as the resistant strips. The stopper function is to limit how far the fender should be slide down. I removed the fender from the mounts and sticked on the stoppers. For the stoppers I used 3 layers of tape instead of 1 to ensure the tip of the mounts wouldn't slip over the stopper. For stronger, longer lasting stoppers I would use any small piece of plastic, rubber, metal, etc and glued them using super glue or strong double sided tape. By using double sided tape (with outer protective layer intact of course) I could add more resistant to the fenders simply by adding more layers. If I desire a permanent fender which is locked securely to the mountings, just peel off the tape's protective layer so the fender will stick to the mountings. If you use a kind of industrial strength double tape which is made for outdoor use, then your fenders will be as solid as if they were super glued or screwed and usable in wet condition also. 3M make this kind of double sided tape intended for sticking up cars' emblem or houses' numbers. I've used this tape and it was super strong and lasted for years even when I washed my car once every other day. My explanation might sound complicated but in reality, as shown by the pictures, these are just very simple basic tweak and you only need a small scissors, pen marker and double sided tape. Even a ruler wasn't needed. Aside from cutting off the bottom mounting tabs off the fender which I did it easily by hand using a small saw blade, other modifications are not permanent and the process is very forgiving and reversible (the cut admittedly look horrible LOL but it won't show up once installed). Anyone who modified their fender care to share their tips & tricks? I'd love to see them.